AVLF’s main office was alive with the spirit of service on Friday, December 7th. Members from four law firms joined AVLF staff in celebrating five of our best supporters at the first ever Saturday Lawyer Sponsor Luncheon. 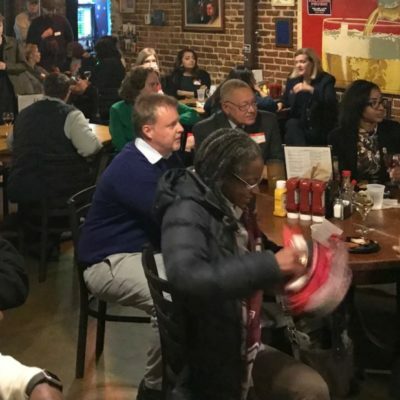 The Georgia Lawyer Chapter of the American Constitution Society hosted their 12th Annual Public Interest Holiday Party at Manuel’s Tavern. 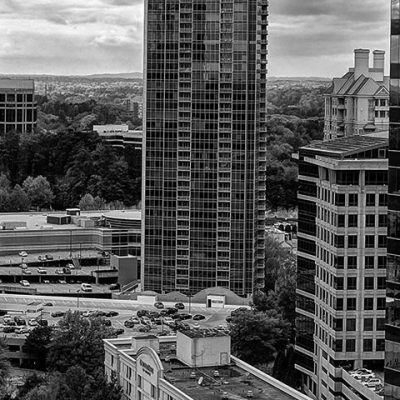 Atlanta Volunteer Lawyers Foundation co-sponsored the event. 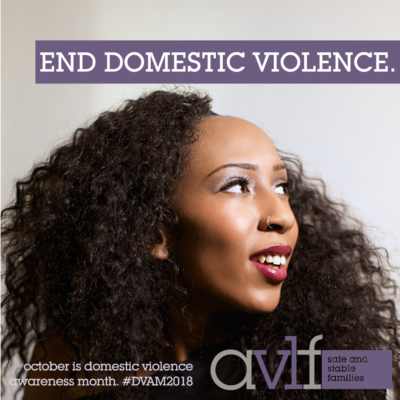 This month, several of our staff members spoke on panels across the country, sharing the impact of their work at the intersection of housing, health, and domestic violence. 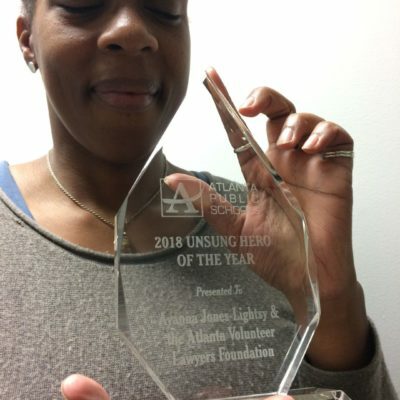 Atlanta Public Schools honored Staff Attorney Ayanna Jones-Lightsy with the 2018 Unsung Hero of the Year Award for her impact on the school community through the Standing with Our Neighbors™ program. 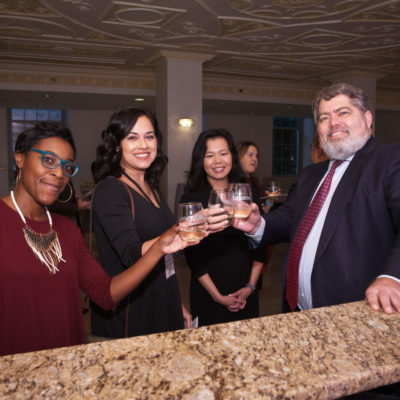 AVLF’s Annual Winetasting serves as a celebration of giving to honor the 1000+ friends of AVLF for their commitment to pro bono legal service. In partnership with local fashion line Chloe Kristyn, Atlanta Volunteer Lawyers Foundation raised over $1,500 at private events for the Safe and Stable Families Project. 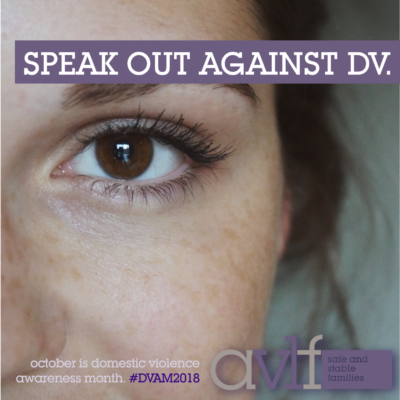 For this year’s Domestic Violence Awareness Month, AVLF’s Safe and Stable Families team focused on sharing resources with our community. 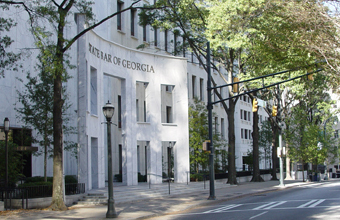 At its most recent meeting, the Georgia Bar Foundation announced a $100,000 grant to Atlanta Volunteer Lawyers Foundation. The Warner Bates Guardian ad Litem Benefit was a successful night of important fundraising for a program most crucial to the Fulton County courts. 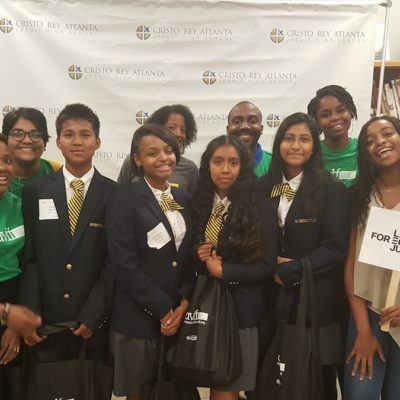 Join Atlanta Volunteer Lawyers Foundation in welcoming our 2018-19 interns from Cristo Rey Atlanta Jesuit High School. 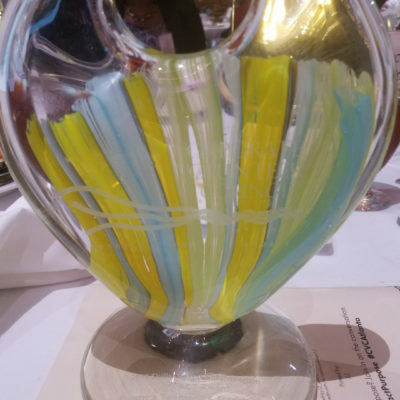 On September 12th, the Corporate Volunteer Council of Atlanta awarded Kilpatrick Townsend the Skills-Based Project Volunteerism IMPACT award for their work with AVLF. 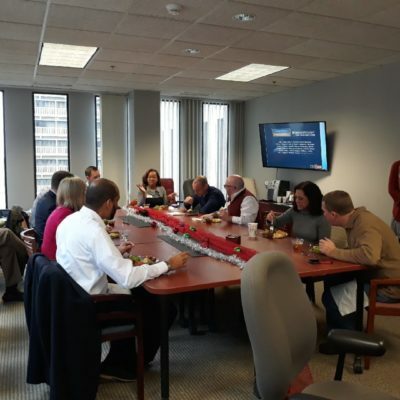 PwC recently released a video highlighting their impactful partnership with Atlanta Volunteer Lawyers Foundation. Watch the video here.